It’s that special time of year when we make sure our pantries are stocked with several cans of pumpkin puree. It’s an essential ingredient in getting our seasonal pumpkin fix, everything from pies and muffins to pumpkin pasta sauce.But what exactly is in canned pumpkin puree? It sounds simple, but what’s inside just might surprise you. Home cooks and professional chefs alike rely on pumpkin puree for its convenience, consistent flavor, and texture. But, you might be surprised to know that this pantry staple might be hiding another ingredient ….squash! That’s right, some canned “pumpkin” puree is actually made from one or more types of winter squash, like butternut, Hubbard, Boston Marrow, and Golden Delicious. These squash varieties can be less stringy and richer in sweetness and color than pumpkin. So why does the label says 100% pumpkin? 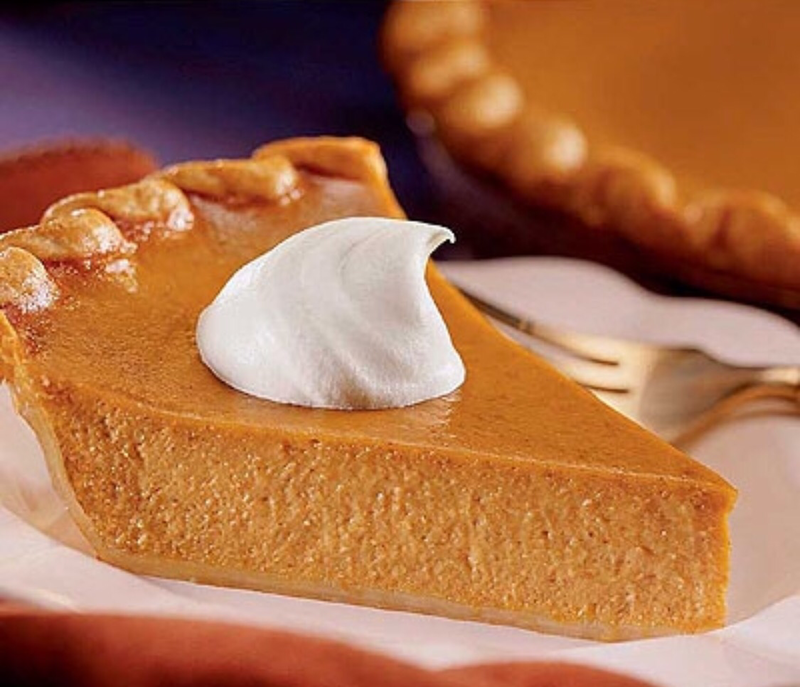 Traditional Pumpkin or do we now call it Squash pie? MIX sugar, cinnamon, salt, ginger and cloves in small bowl. Beat eggs in large bowl. Stir in pumpkin and sugar, spice mixture. Gradually stir in evaporated milk. BAKE in preheated 400° F oven for 15 minutes. Reduce temperature to 350° F; bake for 40 to 50 minutes or until knife inserted near center comes out clean. Cool on wire rack for 2 hours. Serve immediately or refrigerate. Top with whipped cream before serving if you like.